for $3,100,000. This 18,942 square foot building was built in 1945 on a lot size of 5.52 Acre(s). 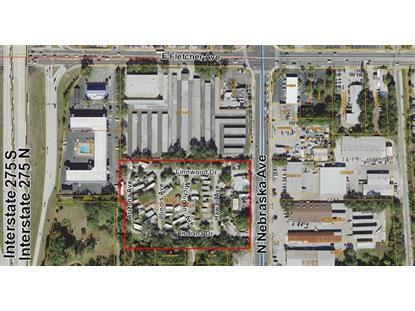 Here is a great opportunity for redevelopment to 110 multifamily units or 66 town homes. With rezoning, the possibilities are endless! You also have the option to take over a turn key business generating over $400, 000 gross annual income. Current parcel includes 11 bungalow cottages, multiple mobile homes and travel trailers, as well as 2 commercial spaces with long term tenants in place. 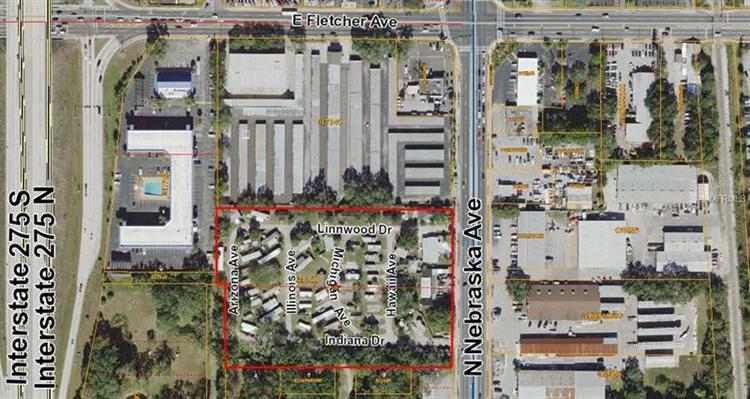 Property is conveniently located on Nebraska Ave just south of Fletcher Ave for easy access to I-275, USF, VA and Downtown Tampa.